Everyone needs to have that day off, but just because you do doesn't mean you should cheat with meals! Eating healthy is just as important as going to the gym, maybe even more important. I know that once in awhile, I could go for a snack, but sometimes it's hard to choose between having a yogurt or having those cheese puffs. Here are some easy snacks to buy in order to make sure you don't get tempted to the dark side. Cheese and Crackers: Simple as that. The fun thing about them is that you can be creative with it. I know you may be thinking, what's so creative about cheese and crackers? Well there's different ways you can make it! First off, you could buy them, which is the easiest option. My favorite brand is the Keeblers Club and Cheddar. You can buy them almost anywhere, whether it's Target, Walmart, Stop and Shop or any other grocery store. They also have the bread sticks and cheese separately, so you can scoop the cheese onto the stick. You could also make them by using your favorite kind of cheese and crackers. I like American Cheese with Triscuits the best. You can jazz it up a little by putting something on top or in the middle, like an olive or tomato. Kashi bars: Kashi bars are so healthy, and they come in different kinds too. There are the chocolate almond and nut, chewy nut, honey oats, peanut butter and many more. A kashi bar is a good afternoon snack if you had a small lunch and you don't want to eat anything big before dinner. Wheat Thins: Wheat Thins are my favorite for when I get bored and just want to snack on something. I grab them whenever I'm watching tv and want something, since they are so much healthier than pretzels and chips. I like to pair up my Wheat Thins with some seltzer water. Seltzer is good for anyone that likes carbonated drinks because it sort of tastes like Sprite, but its water! Fruit: Fruit is my favorite thing ever. My favorite, all year round fruit is bananas and apples, but I also love blueberries, strawberries, mangos, and raspberries. 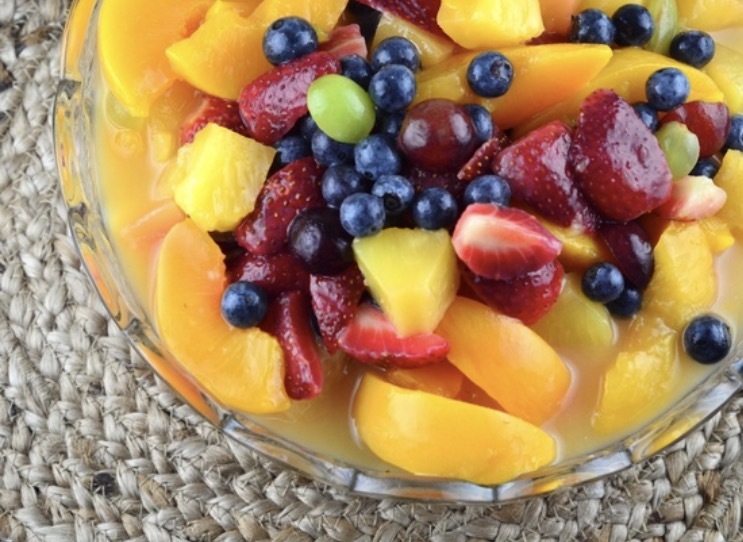 If you are ever hungry, you should have some fruit because it is refreshing and its a good source of vitamins A, B and C. You can have just a single fruit, like a banana or a bowl of blueberries, or you could mix them up! You could make a fruit salad or smoothies! 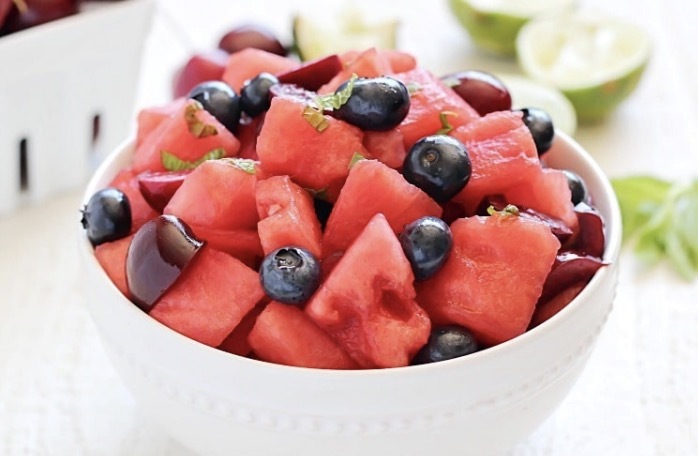 When I make a fruit salad, I will put in blueberries, strawberries, bananas, which are the basics, but I'll also add some blackberries, kiwi and watermelon if I have them at my house. When I make a smoothie, I put in one banana, some blueberries, a couple strawberries, a spoonful of peanut butter, yogurt and milk. Eggs: I'm not one for cooking, but making eggs has to be one of the easiest things ever. My favorite is having scrambled eggs or omelets with cheese. If you want to get fancier, you could add peppers or broccoli to it to make it healthier. I usually have eggs in the morning as my breakfast with some fruit on the side and orange juice. Although it may not seem like much, it will give me enough energy to start my day. Eggs are a quick little snack that will go a long way. Salad: Last but not least, the simplest snack of them all, a salad!! 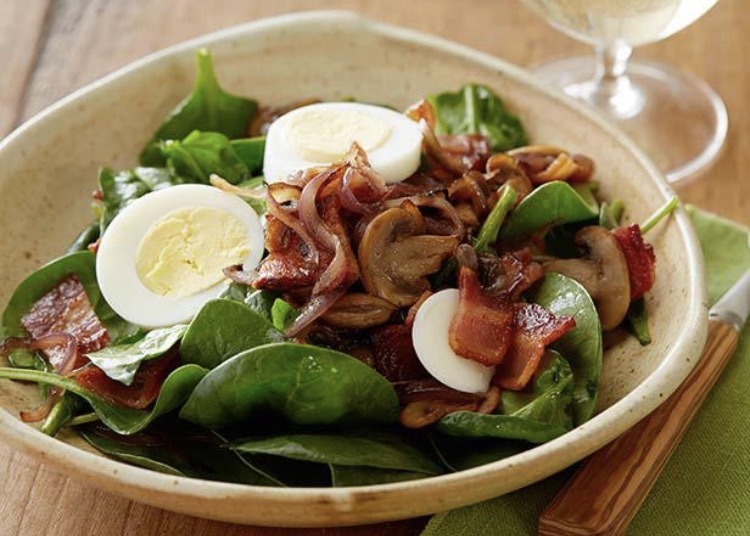 You can add anything to a salad, whether it's fruits, vegetables, or both. Salads are my way of getting my daily dose of vegetables, since I don't like to eat them plain. I put kale, carrots, spinach, croutons, cheese, arugala, pasta, and sometimes corn in my salads. This is a good way to try new things, if your picky about a certain taste because you can mix it in with everything else to try it! You can also go as simple, or as crazy as you want with a salad, since all you really need as a start is lettuce!